After never-ending breakouts throughout high school, college, and to this day, I have started to invest more in my skin and try to take better care of it (in hopes that it will stop breaking out-lol). With my wedding in September, I knew this is one thing I had to budget in. Most medicines didn’t help me or they just were too expensive. I thought to myself “there has to be another way”. So, to test out the “other way” I have started getting monthly facials with a lady named Simone who I adore! 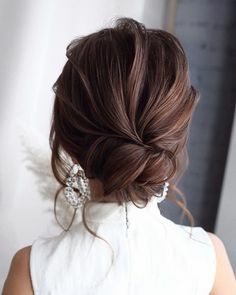 I am following her advice now when it comes to my skin, cystic acne, and to hopefully get it on track for the wedding so I wanted to take you all with me on this journey. FYI: none of this is “sponsored” or anything of the sorts, I just have been dealing with this long enough and am hoping it might help others that have the same skin troubles I do! Simone works at Hand and Stone here in Greenville and is amazing! Since this was my first time having a facial using a LED light she explained to me what the different types of lights were used for and walked me through the ste ps I needed to take to better my skin. We used the blue LED light to help kill bacteria and stop my breakouts from spreading and getting worse. I have noticed that my dark spots are lighter and my face isn’t as red as it was just a day after! They also have red light LED therapy for aging and wrinkles and green light LED therapy for brightening and complexion (maybe I’ll do this one closer to the wedding). Simone recommended that I do three treatments with the blue LED light before diving into the more invasive facials to fight my scarring and dark spots. I will continue to update you guys on my results and what I think about the process, but for now, I will share with you guys what I have started using for the new year, what products Simone has recommended to me, and some of my favorites that have continued to stick by my side for years. 2019 new years resolution: new (healthier) skin! A lot of the products I use are certified at Sephora as “clean” or “organic” because I know that the high quality of the product won’t aggravate or worsen my already sensitive skin. I now look at the ingredients of my products and if it’s “clean” or not and I am so glad that I started doing that, I can already tell a difference! 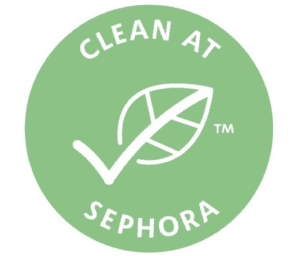 At Sephora, they put this image on the box so you know that it’s “clean”. This makes me feel confident with what products I’m putting onto my skin and I have come to realize they don’t irritate my skin like other products do! I have listed below what skincare products have been working for me, whether I have only been using it for a few months or I’ve been using them for years. I have been fighting cystic acne for years and I think I’m finally starting to win the battle. Tatcha Luminous Dewy Skin Mist. I use this as a finishing spray to set my make up. I do want to warn you that if you have combination to oily skin, this may make you look oily and shiny by the end of the day. I like the dewy and hydrating effect this gives my make up. I have found that my skin looks dry during the winter (I mostly use powder instead of liquid makeup) and this really helps! Aveda Brightening Serum. I got this as a Christmas gift from my future sister-in-law who is an esthetician (thanks Chloe!). I wanted to use it for a solid month before really reviewing it and LET ME TELL YOU. I feel like out of all these products this is the one I’ve seen the biggest change in such a short time. Not only has this really helped get my skin out of the winter dry rut it was in, but it has made such a huge difference with my scarring and dark spots! This is the first thing I put on my skin after I clean it every morning and night and I follow it with my moisturizer. This has worked great to help even my skin tone so if you’re in the same boat as me, I highly recommend this! Tatcha Violet-C Radiance Mask. I noticed that my skin needed a little pick-me-up and I got the tester size of this because yes, I do realize how expensive it is and I didn’t feel like spending the money. Sephora often sells boxes of the tester or travel size products for a super good deal, so I bought the Tatcha box that had this, the spray I mentioned earlier and the moisturizer to try (which is also really good for acne prone skin but was too expensive for me to buy the regular size). Anyways! This mask did really help brighten my skin as well and has the “clean” seal that I explained earlier. I did notice a difference in my skin tone and acne scars after using it once or twice a week since I’ve gotten it. So if you want to treat yourself on a mask, get this one! The regular size pot is a decent size and if the travel one has lasted me this long, I know that the regular one will last you a while! Glow Recipe Watermelon Sleeping Mask. I have started using this the past few months to help combat the dry skin that the winter season causes. I lather this on, hit the hay, then wake up and wash it off and my skin is hydrated, bright, and smooth as a baby’s bottom. This is an oil-free mask so I knew this wouldn’t cause me to break out more than I already was. Clarity Rx Pick Me Up Booster Pads. These pads are one of the things that Simone from Hand & Stone recommended. I have used these twice a week since I started getting my monthly facials (so for two months) and these have really helped kill the bacteria on my skin to prevent breakouts while drying up the breakouts that I currently have. I have noticed my acne scars getting lighter as time goes as well. This is a great exfoliator and Simone says that it helps minimize the size of my pores as well detoxifying and enhancing the tone and texture of my problematic skin. I like using these on my current breakouts to dry them up and make them go away faster. Derma-E Vitamin C Intense Night Cream. I got this while in New Hampshire over Christmas break at an awesome organic store and restaurant named Nature’s Green Grocer in Peterborough. All my NH girls probably know what I’m talking about when I say that this place is awesome! Not only do they have bomb sandwiches but you find cool organic skin care and other things there. It’s like a mini trader joes kind of! I got this night lotion and the morning moisturizer, but this is my favorite! I love the perfect creamy consistency of the night cream and has really helped to calm my stressed skin! Julep Love You Bare Face Cleansing Stick. I have heard many good things about “Japanese skincare” and had to try it out. This cleanser is so easy to use and smells awesome. It really helps to detoxify my pores without making my skin feel tight and dry afterward. I am nearing the bottom of the stick and am definitely rebuying. Farmacy Green Clean Cleansing Balm. I needed a cleanser that would gently remove my mascara and eye makeup and came across this. This is another product that is “clean” at Sephora and works wonders at literally melting away my eye makeup. For days that I do a full face of makeup, I use this all over to remove my makeup before using my cleanser. Dermalogica Fizz Mask. I picked this up not too long ago to help fight the stubborn blackheads on my nose. I really enjoy putting this on and watching it fizz and bubble while pulling out the dirt from my nose (obviously, I’m easily entertained). This has helped clean my pores in my t-zone and made my blackheads lose to help with extraction. I had to find out what skin type I had to really be able to get products that would help my skin troubles. For a while, I was using things that were feeding my skin troubles and made my skin worse and I had no idea. Follow this link to read more about what type of skin you might have and hopefully, it will help direct you with your skincare needs!